Working closely with Harper Collins Publishers and Neal St Productions, we were commissioned to design a TV tie-in book, including much of the behind-the-scenes photography. 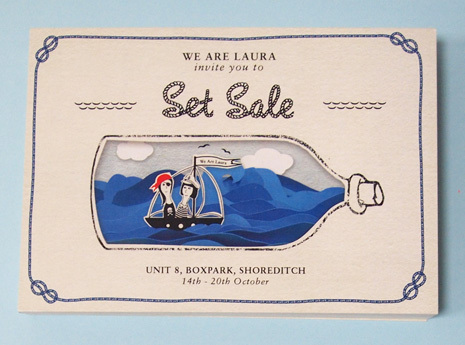 For one week in October, We Are Laura staged a maritime takeover inside a Boxpark shipping container. Throughout the week, everyone was invited to join us in crafting a vast paper based seaside-inside installation. There was talks and workshops from other creative contributors, all with a marine theme, building up to the grand finale where together we assembled the sea-scape in less than 24 hours, before it disappeared, like messages written in sand. Pop-up Projects CIC are a community interest company who engage children and families, schools and communities through books, stories, and the people who make them. Our role was to design marketing materials, website and a design style to be used throughout their collateral. In 2012, Harper Collins publisher asked us to take part Project Evolution – A Brief for Well Designed Books. Taking A Land by Jacquetta Hawkes as the case study, we were asked to research every aspect of the book design. O Collections is the in-store consumer magazine for Oasis fashion. In conjunction with Mill. Co, We Are Laura art directed, re-branded and re-designed the AW10 issue. 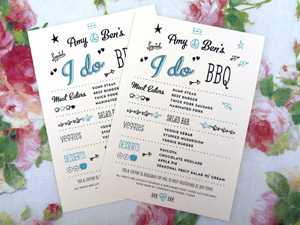 Commissioned invites and stationery designed for weddings and birthdays. 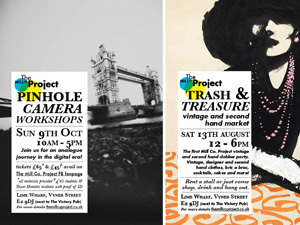 Identity and outdoor branding for Chats Palace, a community arts and entertainment centre in Hackney. BBC Worldwide host a yearly showcase conference taking over the whole of the Brighton Centre. The theme for 2010 was “The World’s Storyteller”. Laura Middlehurst art directed and designed all graphic elements, including; branding, catalogues, brochures, promos, screens, wall graphics and branded notebooks. Phrased and Confused combine music and poetry to create events, festivals and publications. Taking their existing branding as a starting point, we were commissioned to design their website, a literature festival fanzine and marketing materials for a theatre event. Commissioned by The Co-operative, in conjunction with Mill Co., we produced a print in celebration of Co-operatives United. The print was applied to t-shirts and bags for the 2012 International Year of the Co-operatives conference. Lisa Stannard is an international textile designer and illustrator based in Manchester. We were commissioned to create an identity and portfolio website, and recently swing-tags for her new fashion range. Foodari provide a home delivery service for locally sourced produce. We were commissioned to produce a set of flyers to communicate the directness and freshness of the produce.